Installed on 5.5 million homes from coast to coast, James Hardie products are built to withstand the most extreme in all climates. Enjoy the warm, natural character of wood with unprecedented peace of mind. It’s easy to see what makes James Hardie the market leader. 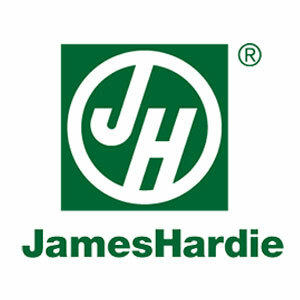 Unique Formulation – Only James Hardie HZ5 products are specifically engineered for harsh northern climates. During manufacturing, proven and refined raw materials are chemically bonded with proprietary additives to enhance moisture resistance and increase product strength. Finishing Technology – Revolutionary ColorPlus Technology provides the ultimate in aesthetics and performance. Innovative color process applies a consistent, baked-on finish that provides years of lasting beauty and fade resistance. Complete Exterior – Diversified products defined by durability, lower maintenance, superior aesthetics and array of design options. Providing homeowners peace of mind with exceptional warranties through a single manufacturer.